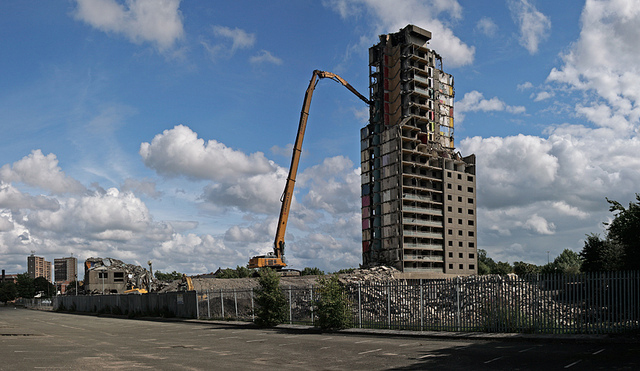 Coleman & Company is one of the UK’s leading high reach demolition contractors. Our portfolio includes numerous high-rise and multi storey structures which include tower blocks, office blocks, chimneys, masts and silos. 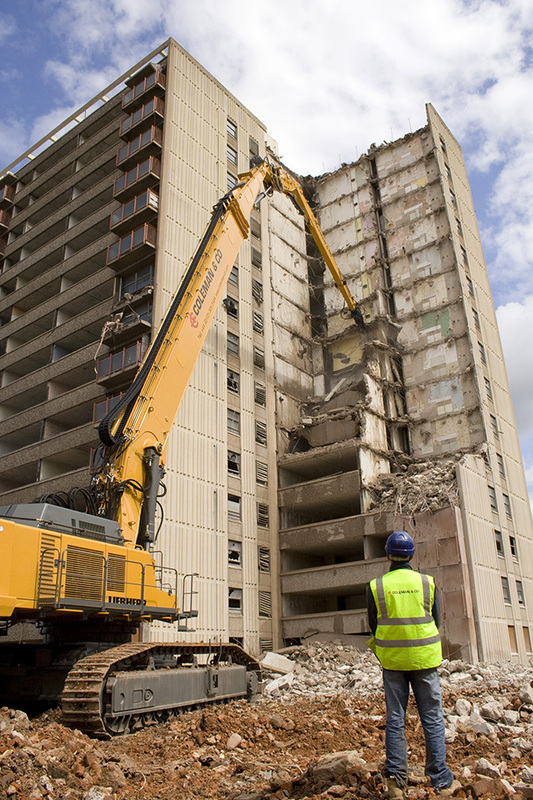 We’re proud to have pioneered the development of high reach technologies, working methods and the design of various industry standard high reach machines. 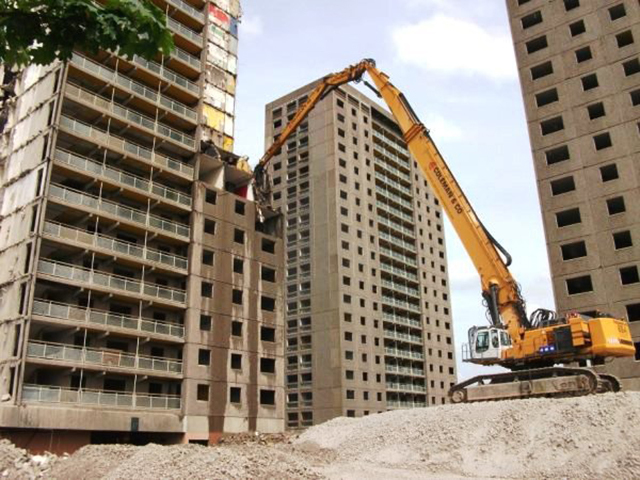 Our contribution to high reach demolition innovation has been recognised by the National Federation of Demolition Contractors (NFDC) in their high reach demolition guidelines. Our fleet includes a number of high reach excavators which can work at heights of up to 65 meters. Our largest plant can carry attachments up to 6 tonnes at a height of 30 meters courtesy of our bespoke designed strong arm which lets us demolish heavy structural members at this height. Our in-house professional team can develop detailed project appraisals, risk analysis and mitigation strategies. They also undertake specialist ground investigation and structural surveys to develop a detailed method, sequence and temporary works requirements so the building maintain structural integrity at all times. Our in-house engineers frequently design 3D models, AutoCAD drawings and in certain instances scale models of working platforms our high reach machines sometimes require. 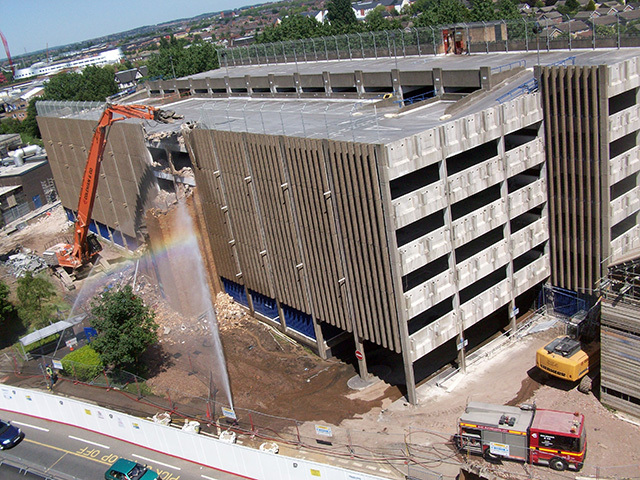 Irrespective of the project or structure, the sequence of our demolition is characterised by care, attention to detail and meticulous planning. 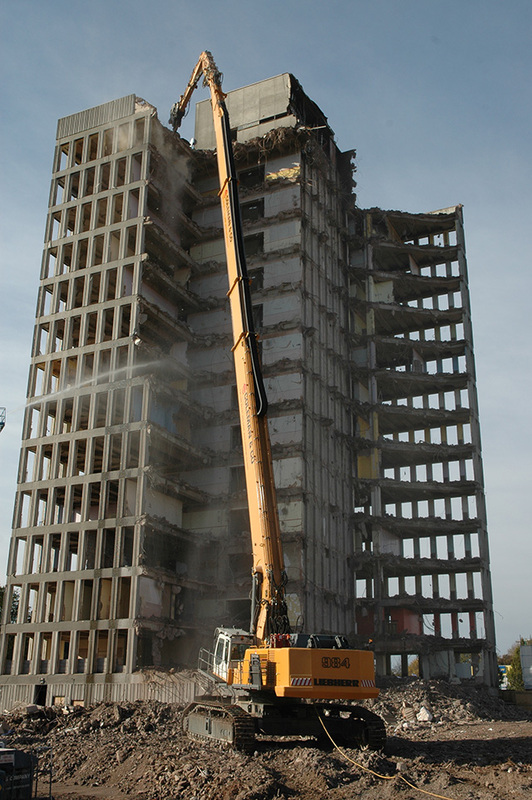 For example high risk structures such as large panel tower blocks frequently require strengthening prior to demolition and a specific sequence to ensure lateral stability is maintained at all stages of the process. 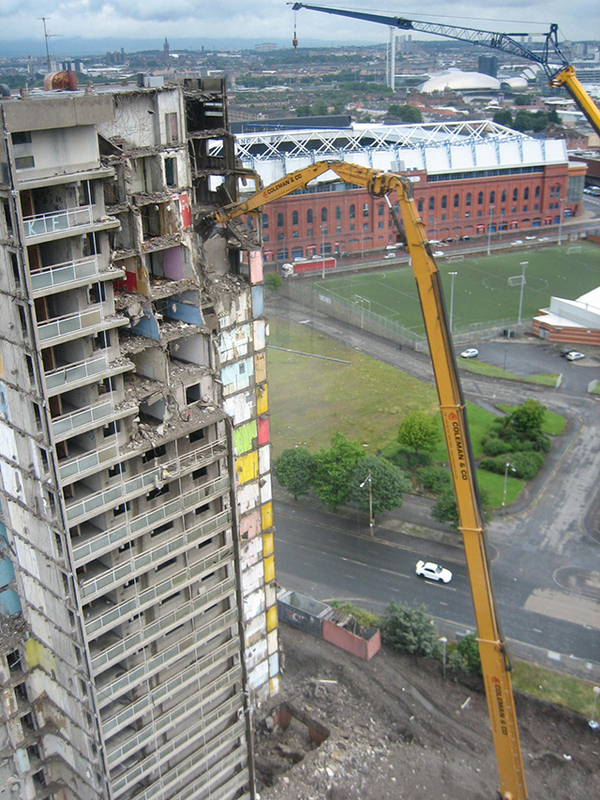 Coleman & Company believe high reach demolition is suitable for tower blocks up to twenty storeys.